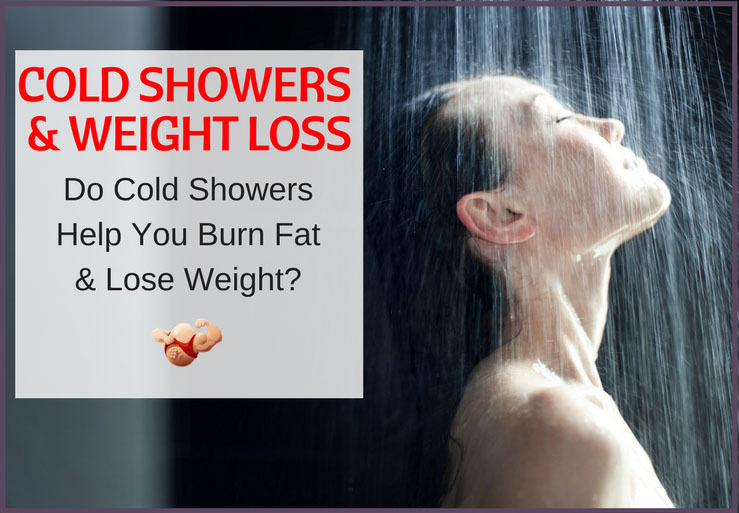 Home » Weight Loss » Do Cold Showers Help You Lose Weight? While cold showers may seem like a surprising way to burn fat, they offer a variety of health benefits. If the idea of shivering in a freezing cold shower doesn’t excite you, you may be pleased to know that a balanced diet and regular exercise are the best method for burning fat and losing fat. But, can cold showers contribute to weight loss? Let’s take a look. What Is A Cold Shower? Cold water immersion provides a range of health benefits, from stimulating blood flow to aiding muscle recovery after strenuous exercise. It’s also thought to aid weight loss. Experts suggest that taking a cold shower for 6 to 8 minutes at a temperature of 54 to 60 degree Fahrenheit has optimal benefits. How Does A Cold Shower Help You Lose Weight? The idea that a cold shower can contribute to weight loss has been around for many decades. In the Journal of Applied Physiology in 1985, researchers studied weight loss in men who took a cold water bath for two hours. They discovered that cool water increased fat burning and stored carbohydrates were used as excess energy to keep warm. When your body aims to generate heat, it uses more calories. Therefore, you burn more fat. Studies have been analysed over the past few years regarding cold water immersion and weight loss. A study conducted in 2009 revealed that immersing the body in cold water can promote brown fat – the healthy fat required to keep warm. A further study discovered that cold water activated brown fat in almost all of the participants by a 15-fold increase. Brown fat, unlike white fat which is stored as extra weight, is metabolically active as it uses calories to produce heat. Its abundant in babies, however, it’s more likely to be detected in women and lean individuals.1 During exposure to cold temperatures, your metabolism is boosted which burns normal fat. It’s too soon to tell if cold water immersion has a direct impact on weight loss. A researcher of a study published in Cellular Metabolism in 2014 suggested that cold temperatures may not offer any additional benefits than a balanced diet and exercise. Furthermore, a 2008 study which demonstrated weight loss as a result of cold water therapy offered an interesting analysis.2 The results showed that in 11 male participants, exposure to cold water increased calories burned. In one participant, there was a boost of 400 calories burned, however, the average increase in calories across all subjects was 76, and participants had to spend all day in a respiration chamber instead of taking cold showers. Taking icy cold showers can cause a risk of hypothermia if your body temperature plummets to very low levels. Hypothermia results in muscle fatigue and slower reflexes which could cause a fall or injury in your shower. There’s also the risk of heart failure. In the 2008 study noted above, researchers noticed a decrease in physical activity, even though calories were burned.2 Two hours of exposure to cold temperatures have been shown to lose fat but the results are only minimal – only a 1.5 pound loss over a period of six weeks. Are Cold Showers Worth It? Taking regular cold showers provide a range of health benefits, especially for athletes who aim to reduce muscle tissue tears and inflammation after exercise. For weight loss, studies indicate an increase in calorie and fat burning but these are only minimal. If you’re looking to lose a few pounds, a healthy diet and regular exercise is likely to be more beneficial. Just remember that a cold bath or shower may be just the thing you need after a heavy workout! Still looking for different ways to lose weight? Learn more about Cayenne Peppers and Weight Loss!